Talented Canadian artist Richard Preston has been experimenting with textures and shapes all his life. 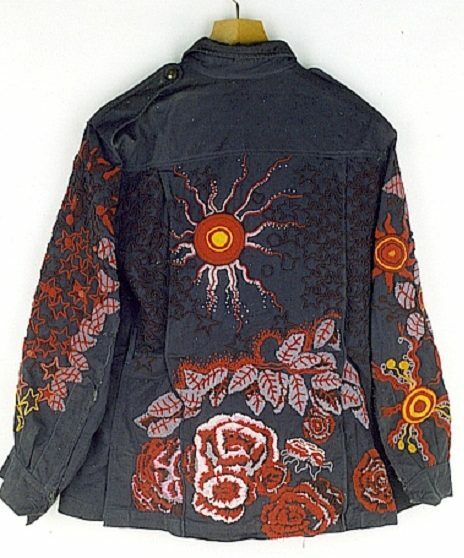 In 1979 Preston began to establish West Coast Jacket – the first in a series of military jackets. 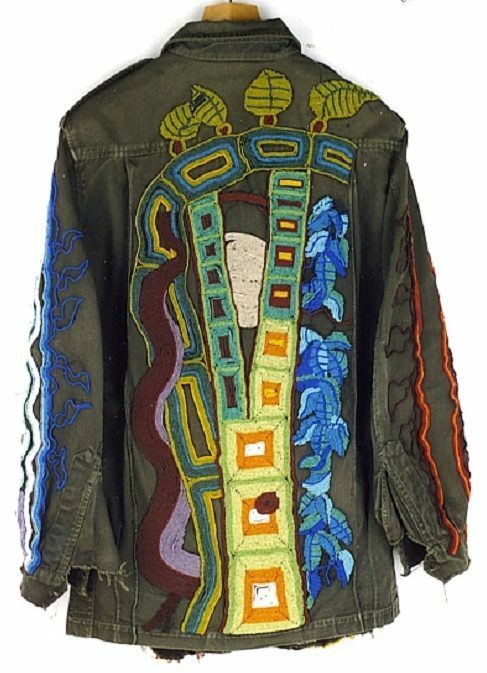 Beading or embroidering them, he creates a different story or on every jacket. 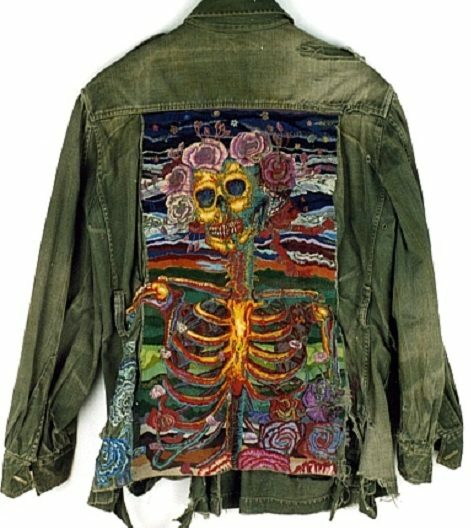 Army clothing embroidered with the sun, clouds, scattering stars, river flows, flowers (including a lush pink wreath on the head of the skeleton symbolizing death), and designs with a touch of psychedelic aesthetics, makes a strong and rather contradictory impression, turning each jacket – originally impersonal thing – in a unique and truly conceptual object. Preston, working with new material, draws attention to global problems, in particular, demilitarization. 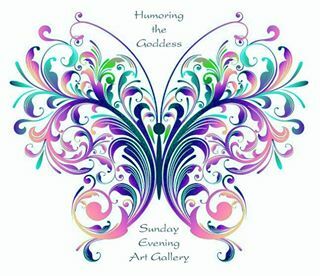 Preston does not limit himself by the narrow direction in art, trying himself as a painter, sculptor, designer, photographer, writer, actor, and musician. 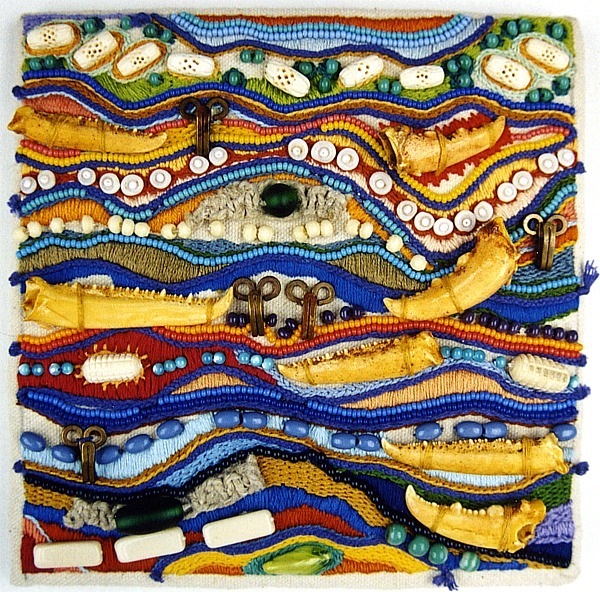 One of his hobbies was working with beads, and for nearly thirty years he made original creations, filled with real ethnic motifs and vibrant energies of the author. 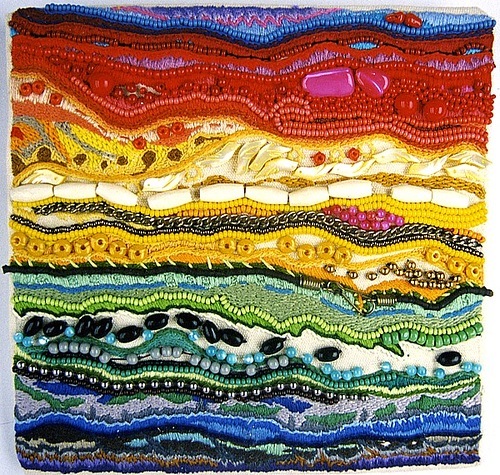 A series “stratigraphy” is devoted to geology. 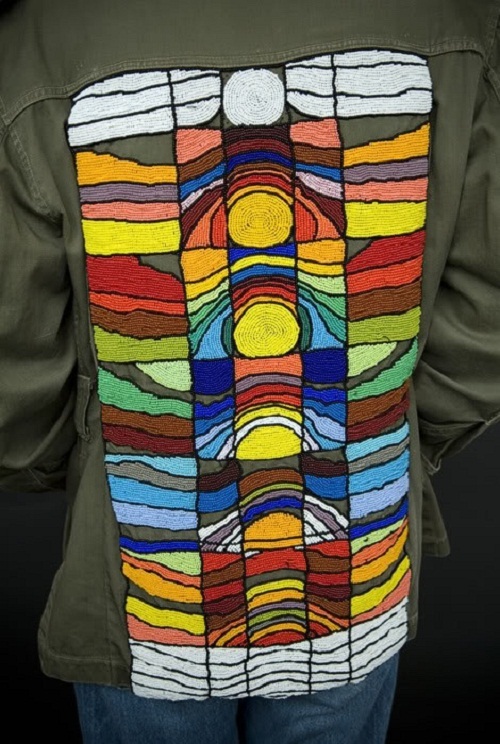 With ribbons, threads and beads, the artist tried to show different periods of his work, as well as layers of different rocks of the earth tells the story of its formation. 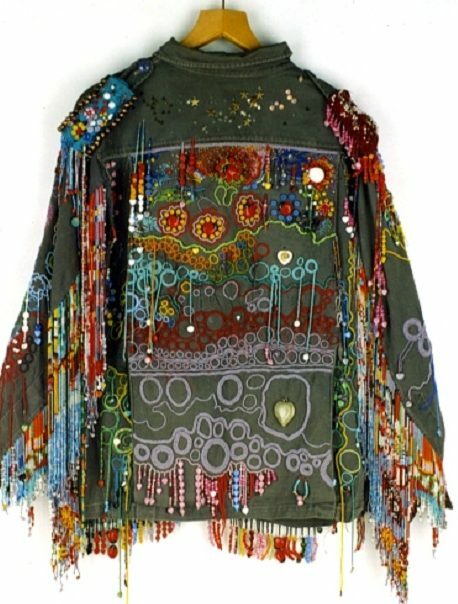 More of Richard Preston’s work can be found at http://viola.bz/richard-prestons-textile-art/ and at http://www.prestvilleartsite.com/. Thank you! 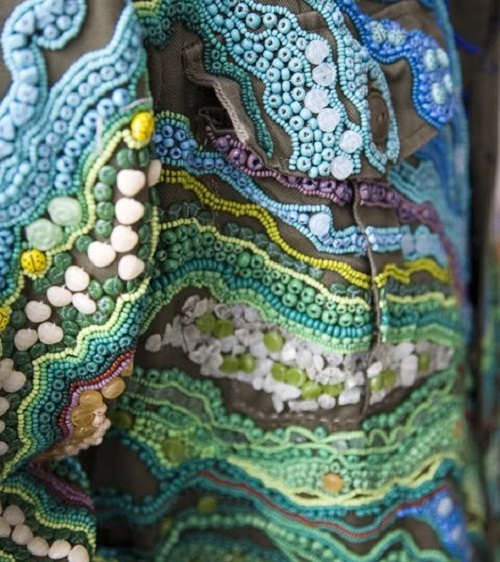 I think the world of embroidery is marvelous!